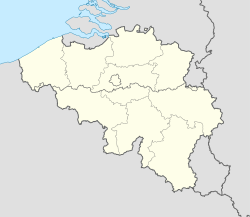 Doische (French pronunciation: ​[dwaʃ]; Walloon: Dweche) is a Walloon municipality located in the Belgian province of Namur. On 1 January 2006 the municipality had 2,846 inhabitants. The total area is 84.02 km², giving a population density of 34 inhabitants per km². The municipality consists of the following sub-municipalities: Doische proper, Gimnee, Gochenée, Matagne-la-Grande, Matagne-la-Petite, Niverlée, Romerée, Soulme, Vaucelles, and Vodelée. This Namur location article is a stub. You can help Wikipedia by expanding it. This page was last edited on 12 September 2017, at 02:27 (UTC).